In pursuit of a quick, minimal ingredient, yet still delicious slow cooker recipe? You will find it in this recipe. With a slow cooker and just 4 main ingredients plus a few spices that you likely have in your pantry already, you can throw together this tasty pulled chicken recipe. I suggest you make it meal by partnering it with some hard taco shells, soft wheat tortillas, or grab some crisp Boston or Bibb lettuce to go easy on the carbs by making lettuce wraps. Toppings like guac, greek yogurt in sour cream’s stead, lettuce, or chopped tomatoes are fabulous ones to consider. A side of black beans, reduced fat refried beans, or a fresh salad with a cilantro dressing would be fantastic to round out a meal here. Thanks to Running to the Kitchen for this great recipe! 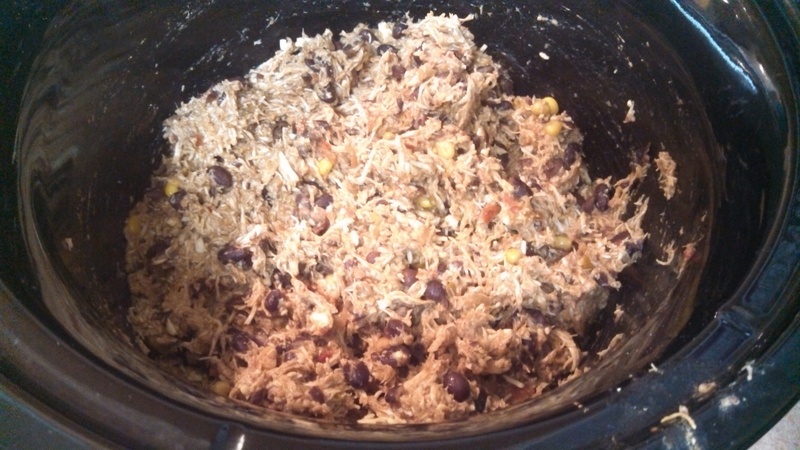 Pour salsa into slow cooker then layer beans and chicken in that order. After 3 hours, remove chicken from slow cooker and shred with two forks. It should come apart easily. 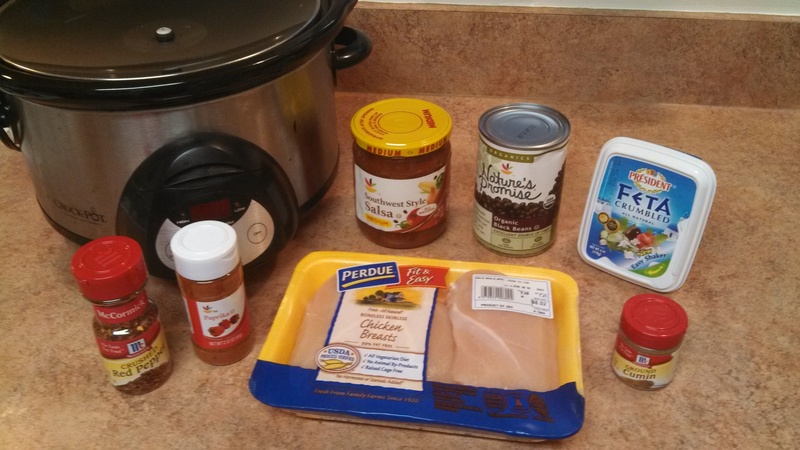 Return chicken to the slow cooker. Add the spices and cheese and mix to combine. Serve with garnish of cilantro and avocado and/or the toppings I have recommended above.